The GP pump is a horizontal, between bearings, multi-stage, radially split, ring section type centrifugal process pump. Available in non-API and API 610 latest edition (BB4) builds, it is engineered to be the most reliable pump for the most demanding high-pressure and high-temperature applications across industries. Applications High-pressure and high-temperature applications like: petrochemical, refining, boiler feed water service, descaling, water injection, desalination and reverse osmosis. Ruhrpumpen's GP pump has been engineered to be the most reliable and efficient pumping solution for the most demanding high-pressure and high-temperature applications across industries. 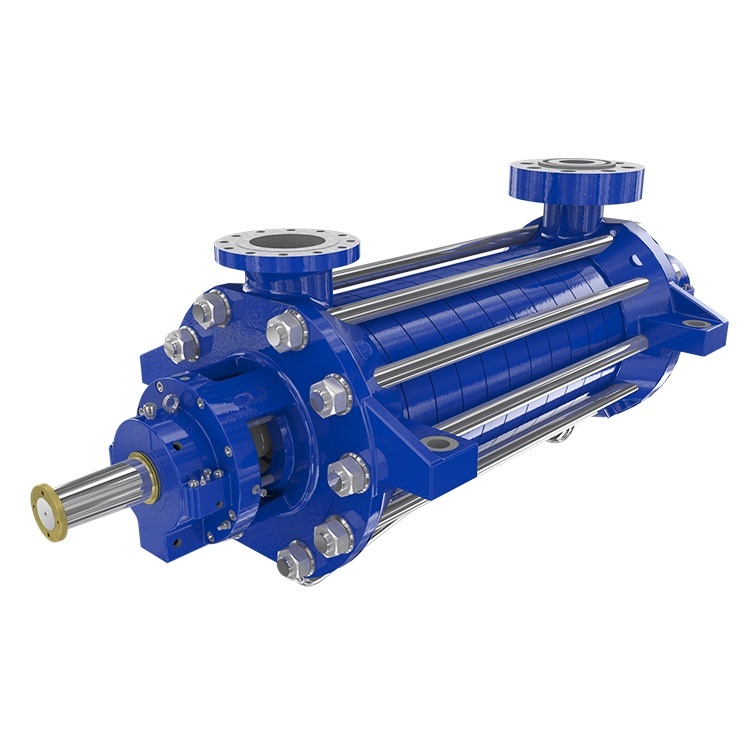 The GP pump features a robust, yet compact, design, together with high efficiency hydraulics. It's design provides superior performance and expectional reliability combined with ease of maintenance and minimal operating costs. The GP line is available in non-API builds for the requirements of power plants and general industry specifications, and as API 610 11th edition (BB4 type) compliant for oil and gas applications. It is designed to meet group II, category 2 G and 3 (for use in zone 1 and 2) of the ATEX 94/9/C directive. Ruhrpumpen has recognized the demand for the highest reliability when designing our GP pump to service as Boiler Feed Water Pump (BFP). At the heart of the power generation process, it plays an essential role, feeding high pressure and high temperature water to a steam generator, such as a Boiler or HRSG (Heat Recovery Steam Generator). The GP pump is ideally suited to this demanding service - particularly in combined cycle plants where severe cycling and thermal transients can occur.